Irene Lettie Griggs, 61 of Burlington, NC, passed away Saturday November 24th at Duke Medical Center. She was a native of Alamance County. She was born February 19, 1957, to the late Raymond Lee Griggs and Nellie Hicks Griggs. 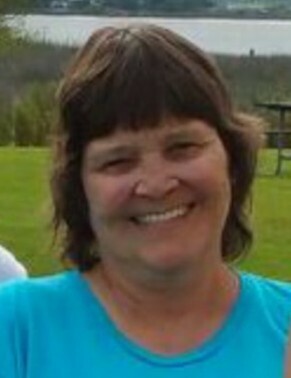 She was a retired graphic printer and an avid animal lover. Prior to failing health she enjoyed cooking, music, traveling, cross word puzzles, the video game “Candy Crush Saga.”, and spending time at the beach. She was a loving sister and aunt. She will be missed by all who knew and loved her. She is survived by her sisters Ann Hill (Steven) of Burlington; Vickie Bateman (Johnny Richards) of Hinton, West Virginia, Carolyn Griggs of Haw River, NC. Loving nieces and nephews of Burlington, Stephanie Page (Alan); Kristina Hill; George Leigh; Christy Isley (Terry), Great nieces and nephews, Victoria and Wesley Page; Jaxon Hall; Nellie Leigh, Hunter and Morgan Isley. Per Irene’s wishes, a private family beach side ceremony to celebrate her life will be held at her favorite "happy place" Emerald Isle, NC. The family will receive friends at the home of Ann Hill, 2915 Amherst Avenue, Burlington, NC. Memorials may be made to Hospice and Palliative Care of Alamance-Caswell, 914 Chapel Hill Road, Burlington, NC 27215 or your local Lupus Society.